ABS plastic, PVC, PU Cotton, Cotton, Polyester, Nylon, Zinc Alloy, Metal - NOTE: sample diorama display base shown is not included with the figure. 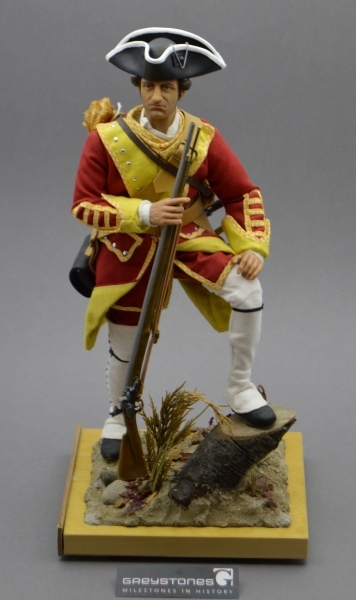 Private John Chadwick joined the British Army in 1740 aged 20. 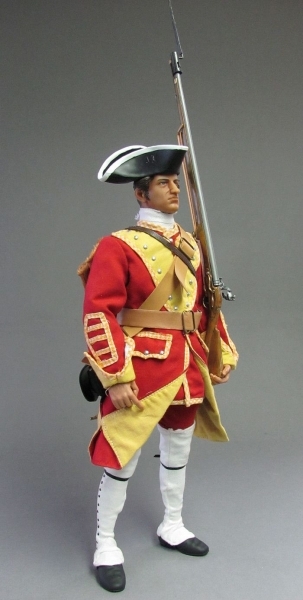 His early military life saw him take part in various battles across Europe. 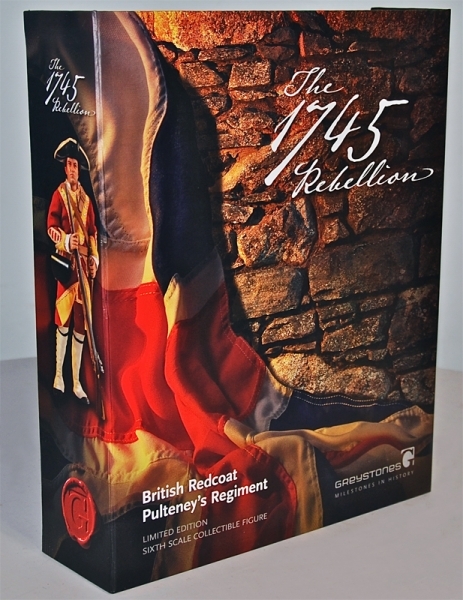 To learn more about British Redcoats, their distinguished place in military history and how they helped build one of the greatest empires the world has ever known, visit www.british-redcoats.co.uk. “I wanted to look them in the eye and take from them, what they had taken from us”. 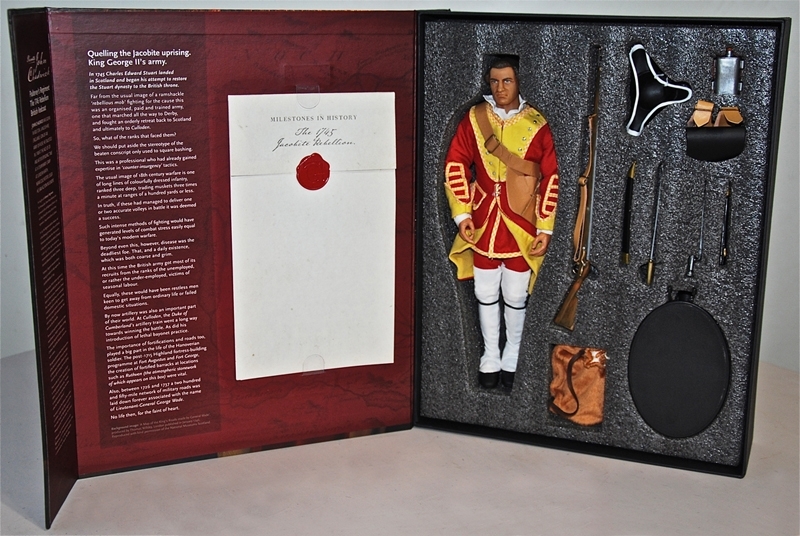 Private John Chadwick of Pulteney's Regiment is a limited edition. Order yours now to avoid disappointment. The sixth scale character featured and name is fictitious. Any similarity with actual people, living or dead is purely coincidental. Each figure is handmade, product may differ slightly from photos featured.